Yep, you have it all in blogland! And it's all GOOD! Thought I would share with you all some neat things I came across this week. Sugar and Spice in the land of balls and sticks! She is so cute...and very creative indeed. Pam from Design fanatic, that made the cutest little love fortune cookies last year. Hop on over and say Hi to these gals...you will be glad you did! And if you are looking for more ways to go green, and perhaps some new recipes...I have a great blog for you. Just look at this delicious pasta dish, all healthy stuff too! And she can give you home made hair removal tips! Yes with these key ingredients. I am going to try this for sure! So you see everywhere you look, you can find what you need, in a click of a button. Have a great weekend gals! NEWBIES see you here Monday, I will have the link up tomorrow night. I have also added another tip and trick under my tutorials, how to create a new header....extremely easy tutorial. That just sounds WRONG! hehe! All cute ideas Debbie! haha Grab your button! It might tickle!!! Your blog make over is fantastic! Can't wait to read your tutorial.. Copy cats, love and food its good and creativity post..thank you for the post.. I am loving all the talent out there...especially with Valentine's Day rolling around, I am getting so many creative decor ideas. Thanks, Debbie! Those are all so pretty, I love the wreath! 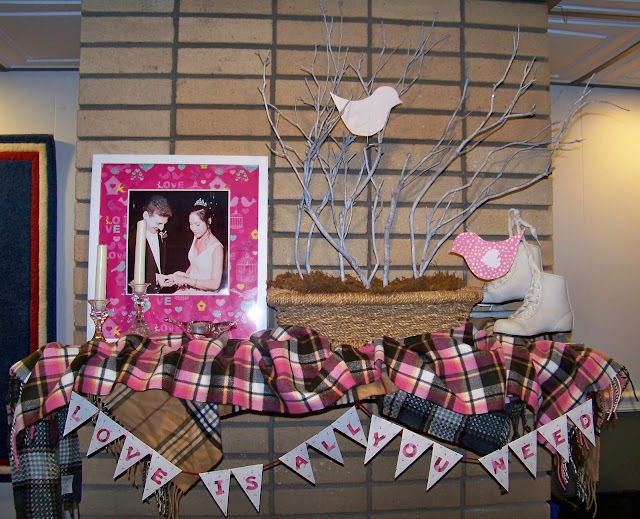 I'm trying to think up something romantic for V-day for hubby and me:) But generally I don't decorate for it. Great ideas here...and yes, with the click of a button we can be in a whole new world. Thanks Debbie, I am heading over to check out that wreath....Looks like a lot of work! Sometimes reading other blogs is what inspires us to try new things. I know it's what works for me. I love finding new ideas for crafts and other fun stuff. Is that sugar hair removal for legs? I've tried it - I totally bruised my legs (just a word of caution if you bruise easily). Thanks so much for featuring my little blog! It was such a delight to find the mention this morning. I'm loving some of the other creative sites you've highlighted too! As I weep with Joy for you posting about headers, I will look thru my tears and once again thank my stars that I know you! This is no easy GIG!